The first thing you need to do is refine your market. If you want to do reviews on products, decide if you’ll review cooking things, or web hosting companies, or headphones, or computers, or laptops, or tablets, or whatever it may be. You have to refine your niche and base it on something people are actively interested in. If you use something that no one’s interested in, then you’re not gonna make any money. But here’s the cool thing: with the internet, people are interested in nearly everything. You can find all kinds of weird stuff that people are interested in that you can make money on. People have made lots of money with free blogs, Facebook groups, Instagrams, Twitters, all kinds of things like that. Now, the question is, how do we do it with no money, and how do we do it the right way? An affiliate is someone who makes money for selling a product. There are also CPA affiliates, which get paid for an action, such as when someone downloads a free toolbar, or fills out a form, or clicks a free link, call in, or something like that. Right now, it’s free to become an affiliate of most companies. You can go to a CPA network and get started with them for literally nothing. If any affiliate company ever charges you to become an affiliate, that’s not a good way to go. Sometimes they do require you to buy their product, but that’s for obvious reasons. Most of the time, you don’t have to pay anything. There are millions on companies out there that you can become an affiliate with. You’ll get paid for linking people when they go and do an action, and everything happens through the link. You get these links for free, because these companies want sales, right? They’re not going to charge you a lot of money to be an affiliate. They want you to drive good quality traffic to their offers, so that you make sales. Because when you make sales, they make money, at it’s very little risk to them. You sign up, you make sales, and then get paid. Create a Facebook group or page. You can make a Facebook page for free. You can also make a Facebook group. You can go find people that are interested in your niche, whether that’s website building, or people who are interested in making money, or romantic ideas, or quotes, or whatever. Use Instagram. You can get a whole following on Instagram, and then you can set up a free blog to send them to so they can buy stuff, or you can send them your affiliate links or something like that. Post in forums. You can go out and post in forums. Someone might post with a problem, and you might have a link to a solution. The cool thing about forums is that you can get paid instantly. Be careful with the away you approach your traffic sources. Don’t go on forums and say, “Buy my stuff, buy my stuff, buy my stuff. Here, click this ugly affiliate link.” No one responds to that, and you won’t make any money. Do this the right way. Use Pinterest. If you’re on Pinterest, maybe you’re posting pictures of dresses, or inspirational quotes, or recipes. If you post a recipe on Pinterest, you can drive people a recipe toolbar. You can do this on places like Weebly, or Blogspot, or Blogger, or use the free WordPress version. The downside is that you’ll have a domain that’s not really yours. It will say something like AffiliateMarketingDude.weebly or AffiliateMarketingDude.facebook or something. So, it won’t really be something that you own, and that’s important. Because if you do all this work and the company changes something, you’re out of luck. You might also want to look into an auto-responder. There are free auto-responders out there. There are auto-responders that you can get started with for like a dollar a month, or $17 a month. There are also free trials or low-cost trials. Once you get an auto-responder, you can get free traffic all day long. Or you can buy it—but you should only do that if it’s profitable. If you really have no money, go over to www.AffiliateMarketingDude.com and get my affiliate toolbar. This is like a cheat sheet for affiliate marketing. If you want to do this stuff and start free, go there and I’ve got some tools for you. We have some things that you can start with for free, obviously, in the hopes that later, once you make some money, you’ll join us in some other stuff so that we can help you make even more. If you do a video, do a good video. If you do an article, write a good article. If you go on forums, answer the questions well. Be a helpful person. If you go on Facebook groups and spam people, you’ll probably get kicked out. But if you answer a question well, you’ll make some money. This stuff works if you work it the right way. Now, the question is this: Do you want to own your own business or do you want someone else to own it? The last thing you want to do is be making money, and then suddenly everything’s gone because someone else decided to shut it down. I recommend that when you start out with the bare minimum, you make a website with a domain name that is your name. Something like BobsWebTips.com or BobsWoodworking.com or something like that, depending on your name and what market you go into. I teach you how to do this at www.GoHubSite.com. You get your domain name, which right now they give you for free when you sign up for hosting. You do have to sign up for web hosting, and if you sign up for three years in advance, it’s around $4 a month. So, it will be around $70 total. Why is this $70 important? With this $70, you get your domain. This allows you to host all your stuff on your own. You can put files up, start a mailing list, start different pages on your blog to send people to. You can make redirects. You can host links. You even get an unlimited amount of domains. You can have different blogs. All these tools we provide for you in the Simple Sites course. All of this stuff will help you build a following. You could do this without a website, but the best way to start is to get a website. It’s easy for your traffic to get to. The more barriers you have for them to get to what you have to offer, the less money you’ll make in the long run, and the more you’ll hinder yourself. The second thing is to get yourself a mentor and tools. We actually offer mentoring as well. You can go to SimpleSitesBonus.com, sign up for our mentoring, and it comes with a bunch of tools. Definitely save up some money for mentoring if you have it. If you want to get our mentoring and tools, right now the Simple Sites course is $297. It’s actually going to go up once the 2018 course comes out. It will be $797. If you don’t have money to start, then do what I’m teaching you for now. There is a gap between people searching and what they want. These vendors want people with influence. They want people with traffic. So, start to build up and save some money. It’s important to be deliberate when picking a niche. Always try to go for the less obvious, more targeted niches. AdSense and views are not the only way to make money on YouTube. Not only is YouTube the 2nd largest search engine, it is owned by Google, the leading search engine. Even without millions of views, with the right targeting and application, it is simple to make money from YouTube. Keywords are one of the most important parts of targeting the correct audience. Skip the bigger keywords and choose more targeted, direct keywords. What kind of website would I need to make? What is my goal? How much do I want to make daily? How much of my product do I need to sell daily to meet my goal? How much traffic do I need to get that amount of sales? Picking a niche that you can get ranked onto the front page of Google or YouTube will do much better than making a video on a high-competition niche that won’t be seen. Not only did the webinar provide valuable tips for free on affiliate marketing using YouTube videos, a new course all about how to make money using Youtube is now available called Video Hacks. One of the most valuable steps will be learning how to find a profitable, low-competition niche and the many ways that finding the proper niche can help you make more money. This lesson will help you learn to optimize your channel to benefit your niche and the in’s and out’s of growing your channel on YouTube, as well as how to bring in more traffic, more subscribers, and more views. This lesson shows you how to use keywords and valuable information to keep your audience and to never run out of idea or content for your audience. This lesson will include the best ways to optimize your channel, your videos, and how to find the best offers to drive your viewers to doing the tasks that make you money. By showing you the very subtle techniques and how to providie valuable information and content to your audience, you will learn to persuade your viewers to buy your products. It’s important to have your own site or blog in order to track your viewers interaction. In this lesson, you’ll learn the best ways to optimize your site in order to get more visitors to your site, capture leads, and make sales. Receive valuable plugins to help you set up your blog and to optimize your site to get the most sales. 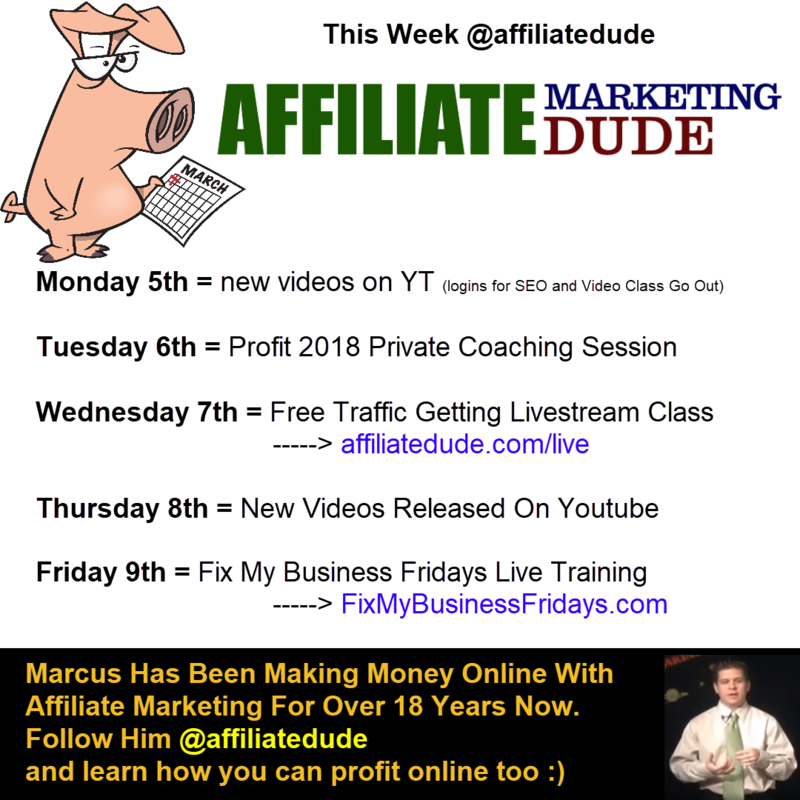 in this live training marcus talks with nancy live and shows her how to take her fashion design hobby to the next level and market it online with affiliate marketing, social media, and the fashion industry. This is where marcus (me) goes thru and hand selects a niche for you based on a non competitive keyword and some super profitable offers… we then get you a domain name geared towards the niche (these are super valuable) and set up the site with you… we hook you up with some plugins… tools, and even some content… and of course… we give you a copy of the simple sites program so you can follow along and profit with your new niche. This is for people who have a product, idea, or website like nancy who want marcus to help them turn things around fast… its a lot like the high ticket niches but for your specific products or niche. Today we’re talking about how affiliate marketers get paid. How do you get money in your account from your affiliate stuff? Affiliate marketing is always driven by an action. Whether it’s CPA (which is cost-per-action or cost-per-acquisition) affiliate marketing, or whether it’s like cost-per-sale (or where you’re getting paid on a sale), no matter what, an action has to happen. In affiliate marketing, you can get paid several different ways. Some big companies, such as Amazon or Best Buy, have their own affiliate programs, and they’ll pay you for affiliate marketing. These are called standalone or self-hosted affiliate programs. These companies will give you special links that you promote, and when people click on the link and buy products, you get paid directly be the company. Usually they’ll pay you by check or bank draft, or something like that. Sometimes they’ll even pay you by PayPal, or by putting money on a debit card every day or every week. Then there are what’s called affiliate networks. An affiliate CPA network is a network that goes out and finds a bunch of different things for you to promote. They go to all these different places, work out an agreement, and make a link. When you log into your affiliate CPA network, you’ll see a list of a bunch of offers. My favorite way to get paid is always by using CPA networks. The reason is because with everything else, you need to make a sale. With CPA, you get paid when an action occurs. You have to get someone to click something, buy something, download something, etc., and when that action occurs, you get paid. But it doesn’t necessarily have to be a sale. OfferVault and ClickBank are two tools that we can use for affiliate marketing. OfferVault is a search engine that displays a bunch of offers and their networks. We use this to search for offers. 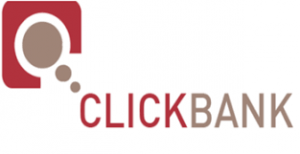 ClickBank is another tool we use. A lot of people think it’s an affiliate network, but it’s actually more of a digital product hosting service. They host digital products and order forms, and they process all the payments for these products. When you log in to ClickBank, you see all the offers like an old-school affiliate network, but it’s more direct, because it’s people actually selling stuff. JVZoo and ClickSure do the same kind of thing. Now, here is more on the different actions you can get paid for with CPA marketing. The barrier of entry for a sale is really high, because you have to get people to actually get their credit card out and buy something. On Amazon their cards are already stored, so it’s a little bit easier. But getting someone to buy something is generally pretty hard. You could also get paid for a lead. When you generate leads for someone, these help companies to generate customers at the end of the day. As an affiliate, you want to do this ethically. You don’t want to entice someone by saying they can fill out a form a get a prize. People need to be genuinely interested in what you’re offering. There are two types of leads: short-form and long-form. Short forms are easier to convert, so they pay less. Long forms are harder to convert, so their pay is generally a lot higher. You can also get paid on a click. All you have to do is get someone to click. This can happen with AdSense, for instance. They give you a little code that you put it on your site. MSN does the same thing. They’re basically like big banner networks, big pay-per-click networks who want traffic, and they have all the software that generates it and makes it work, so that they get relevant traffic. Getting pay-per-click is going to depend on what market you’re in. One of my favorite ways favorite ways to get paid is by offering free downloads. This is actually where I’ve made most of my money as an affiliate marketer, and still to this day I make a ton of money on downloads. With this, you just get someone to download something. You might get paid to promote a toolbar. There are tool bars for everything – smiley faces, cursors, templates, forms, PDF editors, video downloads, and more. Because these are so simple to get, everyone likes them. They pay anywhere from $2 to $5 per download, which is really cool. You get someone to download something free that they were looking for. There is also pay-per-call, where the company generates a phone number instead of a link. When the phone number is called and someone stays on for a certain amount of time, you’ll get paid. There are also free trials and web hosting. Web hosting is another one of my favorites. There are all kinds of offers.Things like credit card offers would fall under something like a lead form. Banner ads would fall under clicks. A book form would probably go under download, because people might download a free e-book or something like that. You can get paid to promote all kinds of products. It could be lead pages from HomeAdvisor, or toolbars from Ask.com, or maybe a dental referral network, or maybe as-seen-on-TV stuff like the squatty potty, or ab rollers, or something like that for floor workouts. When you get started, you definitely need to have a bank account. You should have some kind of credit card, even if it’s a prepaid credit card, just something so that you can get started.